Every Good Dog begins with Good Health so in this article I will cover the basics concerning nutrition, especially for dry Dog food (kibble) that you might choose. 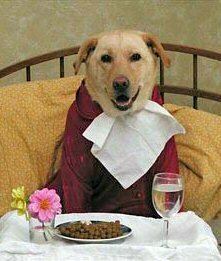 You will not find any best dog food reviews here, what I will do instead is to give you the information to choose wisely. Lets begin with the basic formula of ingredients in a dry dog food that are vitality important. When you are trying to choose the best kibble foods, it can be very confusing. Many dog owners choose a dog food based on the cute pictures on the bag or choose a food because of it’s low price. Others are satisfied if the bag of food states that the food is ‘veterinarian approved’. Still others are swayed by advertising of a particular dog food on TV or magazine, showing happy dogs devouring the advertised food. Here is the real truth- If you choose a dog food based on the above criteria, chances are high that IT IS A VERY POOR QUALITY DOG FOOD!. Shocking yes? I say Poor Quality, but not necessarily low in cost for some. I have seen some very poor quality dog foods with some very high prices and some excellant dog foods with surprisingly low prices (for the quality). Number one, search out the ingredient list on the dog food bag, it’s most often on the side of the bag. The manufacturers have the ingredients listed by quantity, meaning the first ingredient on the list is the one that there is the MOST of in the dog food formula. 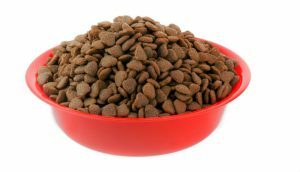 The ingredient that the dog food has the smallest amount of, will be the LAST ingredient listed. Make sense? For example, if the first ingredient is corn or wheat, or rice then that dog food has MOSTLY corn or wheat or rice in it. However, the first three ingredients really tell the story, they will take up 50 -75% or more of the dog food formula. If the first or second ingredient is a meat, chicken or fish source, generally the dog food is a good one if the ingredient is clearly stated. Some dog foods have the ingredient “meat meal’ as a source but don’t be fooled by this. Meat Meal is the WORST protein source to have on the list. Why? I’ll tell you that Meat Meal comes from Rendering factories, a place where dead animals are taken, after being picked up off of farms, that have died of disease or old age or accidents. The animals vary from chickens to horses. There will be bacterial infections, cancers and medications of varying kinds in these dead carcasses. The carcasses are processed, separating all the parts of the animal, and then are cooked at high temperatures to kill bacteria. The carcasses are processed further into meal and glues for different purposes. This hodge podge meal is sold as an ingredient to dog food manufacturers. It is perhaps the most unhealthy ingredient you could ever find in a dog food! Chicken meal in dog food, or Lamb meal or fish meal are also ingredients in many dog foods, not nearly as potentially bad as Meat Meal but might also come from diseased carcasses. Unfortunately, you as the buyer, have no way of knowing the quality of the meals from chicken,lamb or fish. However, the high quality foods are made by companies that focus on quality of ingredients so one can only hope the meals come from higher grades of carcasses. If the protein source lists as Chicken by product meal, I would avoid it. By law, ‘by product’, can be any part of the chicken that is NOT the flesh parts. A chicken by product meal might have some organ parts like the heart, liver and kidney of the chicken but can also be ground up intestines and shockingly, the ground up feathers too. there is no hard and fast rule about what percentages of different chicken parts have to form the whole of the meal. A less reputable producer could put 50% feathers and chicken feet into the ‘by product meal’, producing a very poor quality product. Did you know that wieners or hot dogs, are often made of ‘by products’ (chicken, pork or beef) ? I personally avoid any food, for human or animal, when the ingredients list the words ‘by products’. The words ‘by product’ do not describe what is in it and really does not inspire confidence to me and many other consumers. Thankfully today there are many brands of hot dog that no longer have ‘by products’ listed in their ingredient description! I happen to love hot dogs! Now if the protein source is a clearly stated (without the additional word of ‘Meal’) Lamb, Beef, Fish,Chicken, Duck, Turkey etc., then you have the assurance that these ingredients DID NOT come from a Rendering factory but rather from a slaughter plant. Plain straight up meat is just that, it has not been processed (shredded, cooked and dried into meal). They may be fowl,meat or fish that did not meet the Human Grade requirements, maybe discoloured, or defective in some way but still healthy for dog or cat consumption. When the food contains wheat, corn, soy, or meat meal- Do not buy! If even 2 of the top 3 ingredients are wheat, corn or soy, then it truly is a very Poor Quality food! Dogs should not be fed Soy meal at all, it is put into certain dog foods to raise the Protein level listed on the dog food bag. Dogs have great difficulty digesting Soy and do not benefit from Soy protein. Wheat, corn and soy are put into dog foods as fillers. Dogs are much healthier when the bulk of their food contains an actual meat, fowl or fish source blended with vegetables. Eggs and fruit are also fine, in moderation. Most corn and soy today are Genetically Modified (GMO) for mainly 4 reasons. #1- to create plants more resistant to bugs and disease #2- for higher yields #3- ironically for a more Gluten dense grain and #4 (which bothers me the most) so more Round Up can be sprayed on them without killing the plant, weeds die, but the other plants don’t. Some farmers even use Round up to speed up the harvest! Spraying the wheat with a dilution of Round up so the plant ripens quicker.Wheat today is difficult to digest because it’s been ‘bred’ to have high Gluten content among other factors. Some Potato farmers spray Round up on the Potato plants for the same reason. . The result is trouble for our digestion and health as humans and for the animals. Do you think it’s a coincidence that so many humans, dogs and cats, cannot digest Gluten in grain today? Or that so many cannot eat Corn or Soy in any shape or form? Do you think it’s a coincidence that the rates for cancer and other diseases have risen for human and animal? BHT- preservative known to cause cancer, Corn syrup and all other sweeteners-not necessary, encourages diabetes,obesity and teeth decay in dogs, Nitrates-a preservative known to cause cancer, Sodium Hexametaphosphate- an additive to reduce tartar but causes digestion problems, Sodium tripolyphosphate- a preservative that is also used as a insecticide, fungicide and rodenticide (need I say more? ), Rendered fat- comes from processed diseased animals (Rendering factory), vegetable oil– its a cheap blend of corn and soy oils (far better to use Omega 6 fat like Flax), cellulose- a filler made from plant stems or wood, completely non digestible, used as a filler, Brewer’s Rice- leftover bits from processing rice, used as a filler and has little to none of nutritional value left, colouring and flavour inhancers- have no nutritional value and often cause or aggravate allergies, Proplyene Glycol- related to ethylene glycol (antifreeze)-used to keep food soft, safety is questionable and is banned in many countries. of choosing dry dog foods with no wheat, soy, corn, by products and meat meal as ingredients, chances are high that the dog food does not have the other offending ingredients in it. However, always read the ingredient list to be sure. In summary, the consequences of feeding bad or poor quality foods to our dogs (or any animal), will result in higher rates of disease. Low quality diets in dogs will also show up in ear infections, skin problems, poor hair coat, excessive shedding or very sparse coat, rotten teeth, body odour, and even grumpy or aggressive temperaments! 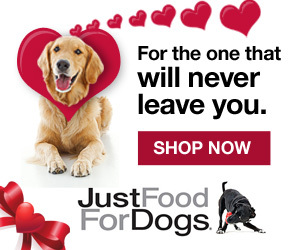 Congratulations, you have just made a step forward in better health for your dog!